Junichi USUI is a musician from Tokyo, Japan. Junichi plays electric guitar, fiddle, sho, vocal and has organized many music events in Tokyo since 2002. 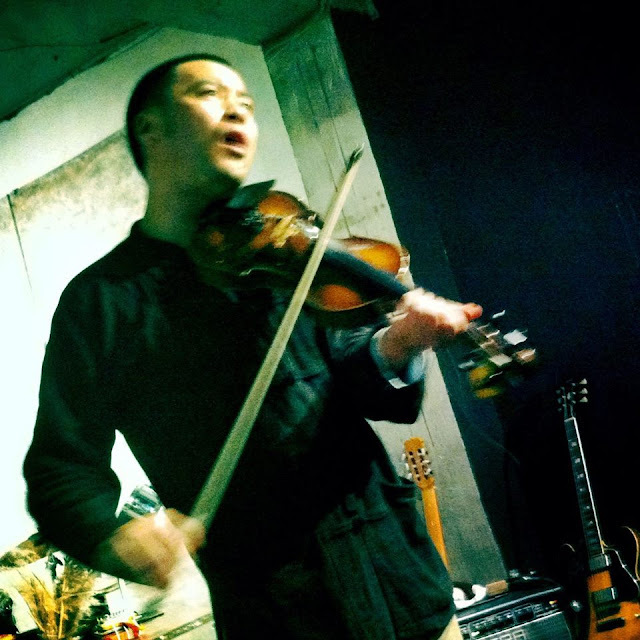 These years, Junichi started solo project which sings original songs with accompaniment of violin, toured around Nagoya, Osaka, Yamaguchi in Japan, and Seoul, NYC, Italy and Indonesia. Junichi's music style covers punk, rock, grunge, noise, avant garde, contemporary, improvisation, traditoinal music around the world and his live performances are acclaimed by music lovers and drunkers around the world. Olifa Hsieh studied new media composing and electronic music performance techniques at the Hochschule für Musik und Theater (HfMT)/European Live Electronic Centre (EULEC). She has learnt contemporary music composition, acoustic theory, and electronic synthesizer performance technology under Prof. Helmut W.Erdmann. In 2011, she has further her study and research of the sound world at the well-known University of Fine Arts Hamburg (HfBK Hamburg), focusing on time-based media art (MA). In 2013, Olifa Hsieh returned to her native Taiwan and found "IMPRO.453", a sound-action theater with live art and sound ensemble. 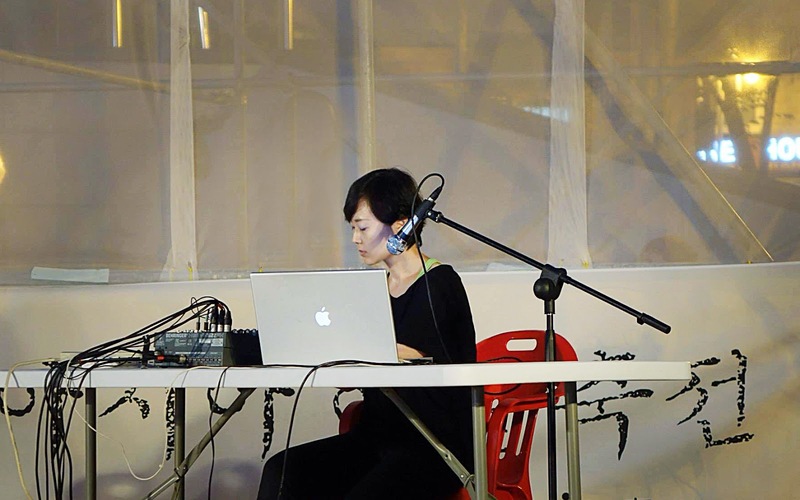 Olifa Hsieh is known for establishing abstract sound performance vocabulary as a communication tool to the audiences; her skillful use of vocal, instruments, electronics, and life-objects, together with the multi-channel stereo sound techniques possessed the feeling of expansion of another space in time for the listeners, trying to create four dimensions listening mode. She is now based in Taiwan and continues her interests in sound art, architecture, and contemporary performances.